From then on go to the website of MSNBC or use their app if supported. Please see supported devices between MSNBC and Unlocator at the bottom of this page. 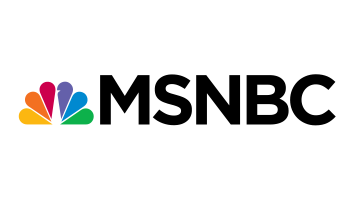 MSNBC is an American pay television network that provides news coverage and political commentary in the US. Not only that, but it also includes shows like Morning Joe, Hardball with Chris Matthews, The Rachel Maddow Show, and more. Throughout the years, the channel expanded its area of coverage. Nowadays, countries like Canada, South Africa, Kenya, parts of Latin America, North Africa, and most of the Middle East have their own version of the channel. However, the content library you get in these countries is not the same as the US one. Many programs are geo-restricted to US residents only. Therefore, to bypass these geo-blocks abroad, you must make use of Unlocator. By using Unlocator Smart DNS, you can cloak your real location and appear to be browsing elsewhere. This will help you access geo-blocked content like MSNBC and so many more. Unlocator simply redirects the part in the URL that showcases your current whereabouts. As a result, the streaming channel will then be unable to detect where you’re accessing its website from. Eventually, you’ll be able to watch MSNBC regardless of where you might be physically present. All you have to do is sign up for a free Unlocator trial, use the setup guides listed below to configure Unlocator on your devices. By then, not only will you be able to stream MSNBC, but also any other geo-restricted channel supported by Unlocator Smart DNS service. Note that Unlocator doesn’t change your IP address or encrypt your traffic. Therefore, you’ll still have full access to your local channels and operate at the same connection speed. If you need any help with the configuration process, you can always give a shout out for Unlocator’s support team.